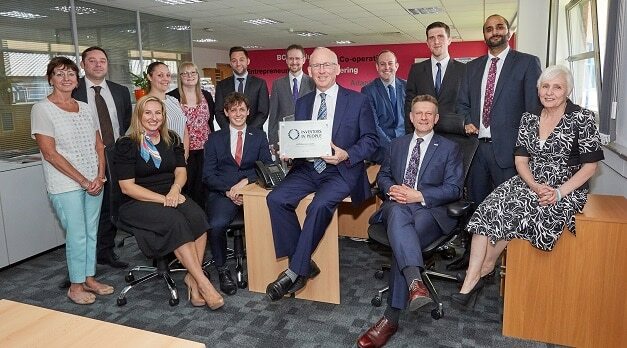 One of the West Midlands’ largest providers of alternative business finance has been accredited to lend up to £4 million under the latest Enterprise Finance Guarantee (EFG) programme. This is a two-fold increase on the amount the lender has been allocated in previous years. The Enterprise Finance Guarantee programme is managed by the British Business Bank on behalf of the Government and facilitates lending through delivery partners such as BCRS, to smaller businesses that are viable but unable to obtain finance from their lender due to having insufficient security to meet the lender’s normal security requirements. The increased accreditation follows BCRS Business Loans’ successful track-record of delivering to local small and medium sized enterprises (SMEs) in the West Midlands that are struggling to access finance from traditional lenders. Since 2012 the not-for-profit lender has already delivered over £4 million to 114 businesses under the EFG programme alone. Stephen Deakin, Finance Director at BCRS Business Loans, said: “Not only have we secured another healthy allocation under the EFG scheme, demonstrating that we are a trusted partner of the British Business Bank but it has been doubled year-on-year. As a result of this increased allocation we are able to lend up to £75,000 at a time using EFG. BCRS Business Loans was established over 15 years ago to support businesses across the West Midlands with a sought-after relationship based approach to lending. By meeting loan applicants face-to-face the lender is able to judge the loan viability of a business personally, rather than basing their decisions on computerised credit scoring systems. Loans from £10,000 to £150,000 are available to SMEs operating in most market sectors, including construction, engineering, IT, manufacturing, retail and many more. To discover more about BCRS Business Loans please visit bcrs.org.uk or call us on 0345 313 8410.